All auto accidents needed to be taken seriously since they can result in bodily harm and even death. No matter what happens during your auto accident, we feel that it's important that you speak with skilled personal injury attorneys as soon as you are able. Our legal team would like to take a few moments right now to go over some of the basics regarding side swipe auto accidents and reveal why these should be taken so seriously. A side swipe auto accident refers to cases in which the sides of two automobiles collide, resulting in serious damage to both vehicles and injury to the drivers and passengers. More than two vehicles can also be involved in side swipe accidents.. Some examples of the above include attempts to squeeze past a vehicle in a tight space, accidental collisions while changing lanes, or even just inattentive driving while traveling along a narrow, two-lane road. Liability means determining who was responsible for the accident occurring. This is simply another way of saying that you are assessing negligence. The negligent/at-fault party is responsible for paying damages. In order to determine who was at fault, our personal injury lawyers will look into all of the evidence and witness accounts regarding your case. They will consult with accident recreation specialists to analyze the details in the police report and model the events of the accident. Doing this will paint an accurate picture of the incident in order to discover who should be held accountable for any damage to property or injuries sustained. We may find that an outside party may have contributed to the accident occurring, in which case we will also seek damages against that party. Our legal team knows that serious injury and damage to vehicles are both common in an auto accident. We will work closely with you to ensure that you receive excellent legal help each step of the way. 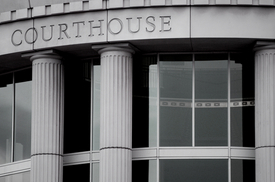 Our attorneys will seek both compensatory damages and punitive damages for your injuries. Compensatory damages will cover the vehicle damage and medical bills while punitive damages will be used to punish the person responsible for the accident so that similar incidents do not happen again in the future. In the case of the accidental death of a loved one, funerary costs will be recovered as well as damages to address emotional pain and suffering. For more information about all of your legal rights and entitlements, be sure to contact our personal injury lawyers in White Plains, New York today. Our legal team has the know-how to help you in your time of legal need. Do not hesitate to get skilled litigators on your side.